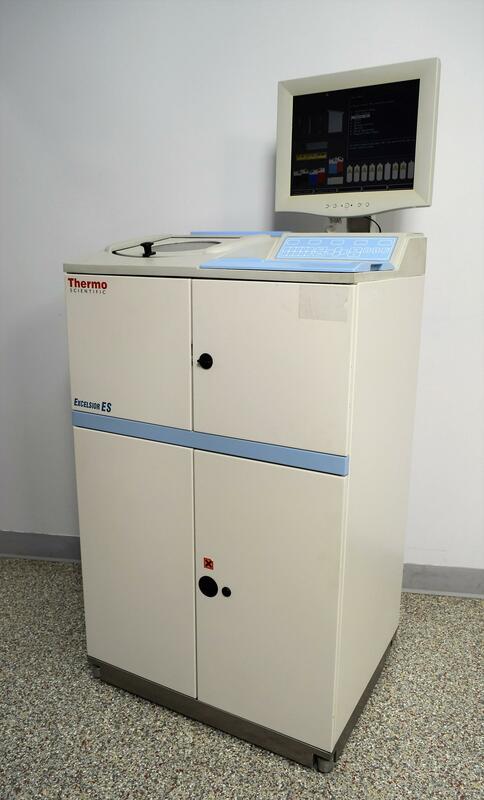 Thermo Scientific Shandon Excelsior ES Tissue Processor Histology Analyst . New Life Scientific, Inc.
*A digital Operations manual available upon request from New Life Scientific. Our in-house technician inspected and tested this Thermo Shandon Excelsior ES Tissue Processor, confirming it to be functional. The technician tested the processor by pumping water through all test chambers. Technician checked the retort agitation and noted the instrument reaches temperature. The monitor screen is bright and clear.